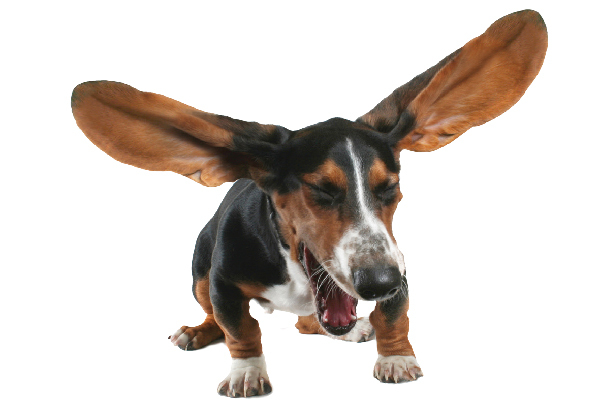 Jeffrey Welch's Blog: Why Do Dogs Sneeze When They’re Excited? Why Do Dogs Sneeze When They’re Excited? 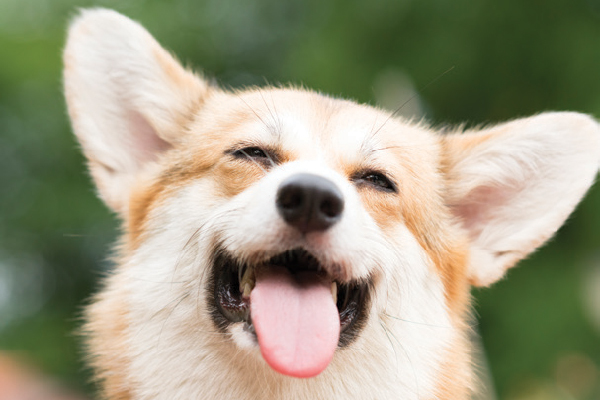 The post Why Do Dogs Sneeze When They’re Excited? by Martha M. Everett appeared first on Dogster. Copying over entire articles infringes on copyright laws. You may not be aware of it, but all of these articles were assigned, contracted and paid for, so they aren’t considered public domain. However, we appreciate that you like the article and would love it if you continued sharing just the first paragraph of an article, then linking out to the rest of the piece on Dogster.com. You must remember this: A kiss is just a kiss, but a sneeze might be more than just a sneeze. So, why do dogs sneeze when they’re excited? There seem to be two schools of thought on the topic, adding a whiff of controversy to this common behavior. Still, the fundamental things apply when asking, “Why do dogs sneeze when they’re excited?” Dogs have sensitive noses. And like humans, they sneeze if something irritates the inside of their nose, causing a tickle, then a sneeze from the chest and lungs to expel the offending intruder. Why do dogs sneeze excited? They’re simply and truly just excited! Why do dogs sneeze? They’re excited. Photography ©Tatomm | Getty Images. Why do dogs sneeze when they’re excited? When dogs are in an excited state, they often sneeze more shallowly, emitting a snorting sound caused by a sudden force of breath from the nose. Why do dogs sneeze when they’re excited? It calms them down. These signals, including sneezes, are a way of calming a situation before it gets too wild. The behaviors are the canine equivalent of social skills, a repertoire of body language and interaction used to communicate many things, including avoidance of conflict and an invitation to play. All dogs understand the code — even those who do not display the behaviors themselves, Rugaas says. Why do dogs sneeze when they’re excited? They’re playing. Why do dogs sneeze? They might be playing. Photography ©graphicphoto | Getty Images. Why do dogs sneeze when they’re excited? Some final thoughts. Dog sneezing might be, as some believe, a dog’s way of communicating to both dogs and humans that they are excited, happy and want to play. Or maybe a sneeze is just a sneeze — a simple reflexive response to something bothering a dog’s nose. Clearly, the answer is not as plain as the nose on your face. It seems only the nose knows. Why do dogs sneeze — is it ever something serious? If your dog sneezes repeatedly for an extended period or if you notice signs associated with colds and allergies (red eyes, nasal discharge, itchiness, coughing) or behavioral changes (such as foot chewing), contact your veterinarian. Why do dogs sneeze … in reverse? Reverse sneezing is a spasm caused by something irritating the throat, nasal cavity or soft palate. A reverse sneeze brings air in, not out,” says Debra Eldredge, DVM. Brachycephalic (short-nosed or flat-faced dogs) and small dogs are more prone to reverse sneezing. Why do dogs sneeze in the wild? Why do dogs sneeze in the wild? Photography ©Simoneemanphotography | Getty Images. When African wild dogs sneeze, they might be casting a vote. These dogs gather their pack and determine whether to move based on sneezes, according to a study published in the September 2017 Proceedings of the Royal Society B: Biological Sciences, a London, England-based research journal. 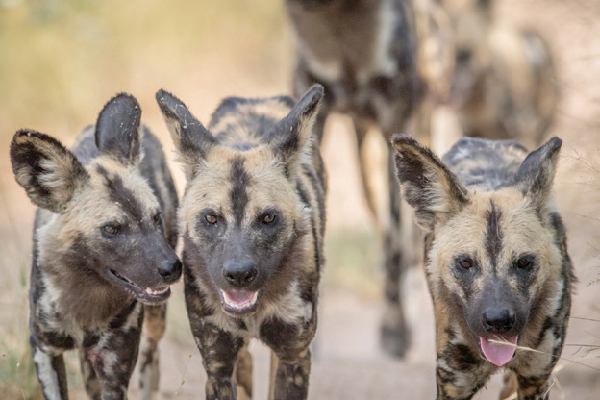 Researchers studied five packs of African wild dogs in Botswana and found that the dogs hold a group decision-making “rally” before setting out on a hunt. If the rally is initiated by a dominant pack member, at least three sneezes from among the pack will launch a collective move. Lower-ranking members also have their say, albeit requiring a bit more agreement: a minimum of 10 sneezes. St. Louis-based freelance writer Martha M. Everett has lived on both coasts covering everything from Washington to Westminster. She has written for Nestlé Purina PetCare publications and is a former managing editor of Dog Fancy magazine.